Jesus was always aware of what was happening around Him. He viewed interruptions and inconveniences as God's interventions. Where others saw problems, He saw opportunities. Ask yourself, "What is God doing around me?" Consider who God has brought into your life? What situations has God allowed you to deal with right now? How can these become opportunities to serve others? It's easy to see faults, or to view people as needy - hangers on - takers. Instead, ask yourself "what can I give to help that person become all that Christ made them to be?" You will never have maximum impact if your first instinct is to find fault. When others don't behave as we would prefer, It is easy to be annoyed or feel angry with those around us. We need to learn instead to have the heart of Jesus. Jesus shed his blood for that person. Can I give them a little of my time? The parable of the talents is a reminder that everything (your time, gifts, family, home, energy, money...) you have has been given to you by God. His expectation is that you will use those resources as He would. In Ephesians 4, Paul taught that all gifts are given so that the church may built up. 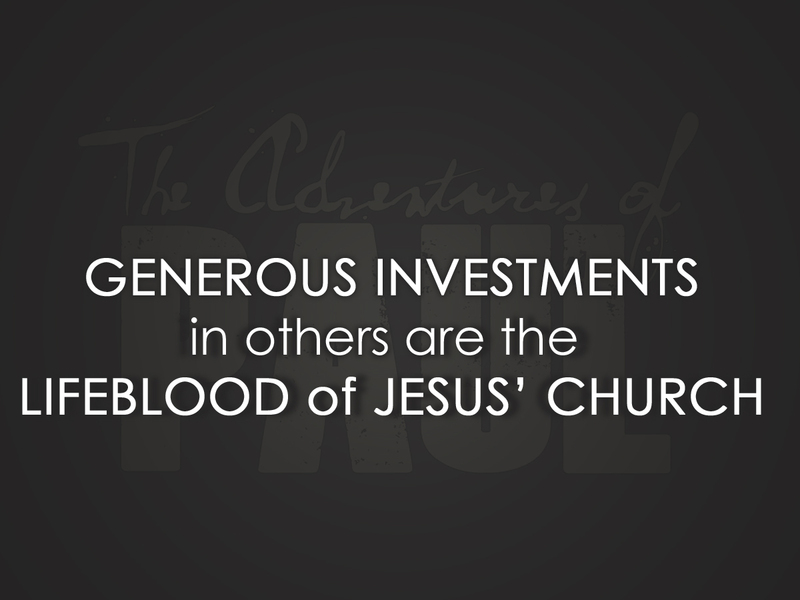 In 1 Corinthians 12, he reminded the church that every gift is important. The body suffers when some choose to not use their gifts. In Romans 12, he encouraged everyone to use whatever gift you have to the best of your ability. We may think our gifts are small or insignificant, but in the hands of God even small things are capable of great victories. God used Moses' stick to enable the birth of a new nation. He fed 5,000 people with just a couple loaves of bread and fish. Our "not enough" is always plenty when we use it in God's service!